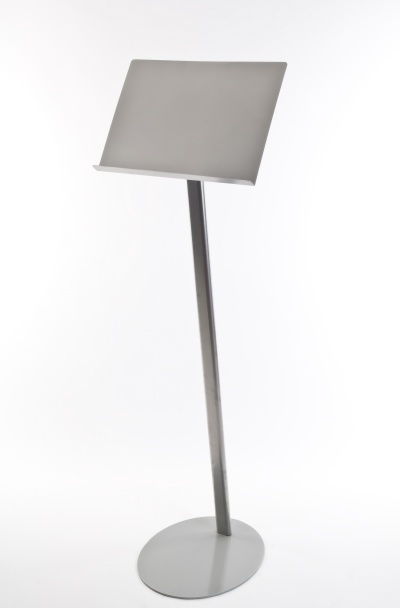 The Satellite freestanding menu holder is an ideal investment for business owners. You’ll be able to draw in lots of passing trade and new custom by placing this menu holder outside your restaurant. This freestanding modern menu holder is sure to be the hub of attention when people passing by decide to have a quick look to see what dishes your restaurant serves. With this menu holder you’re getting a robust product – it has a steel base which ensures that the menu holder is sturdy at all times, no matter how big or small the menu that you place on it is. The total width of the menu holder itself is double A4 – which gives browsers more than enough room to open your menu out and have a good read through it. The freestanding modern menu holder stands 1400mm off the ground.